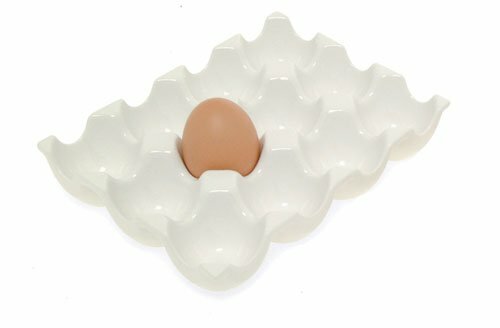 Some may want to live on the edge and crack a dozen open to find out if they are cooked or not, but others may wish to consider the Kikkerland Ceramic Egg Rack . It holds a dozen eggs, looks good on the table and won’t turn into a runny mess when it comes in contact with a hard-boiled egg. * Okay, okay. The secret is to give them a spin. The cooked egg will stop spinning while the raw one will start again when released–without being egged on to.